I have to say that I have been more than happy with the all the people involved in this transformation. The carpet is a Cavalier Bremworth from their Gaia Wool- Rivers Collection and the colour is Murray.We bought it from Bell’s Carpet Court in Liverpool, Sydney and they couldn’t have been more helpful. 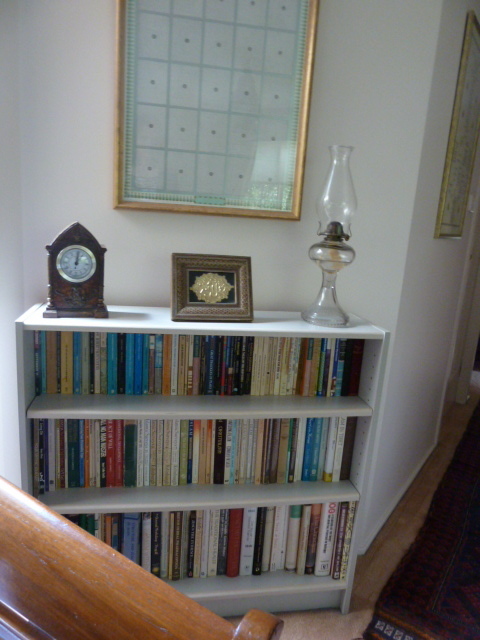 The bookcases were custom made by the fantastic team at Canalside Interiors in Alexandria, Sydney. They did a fabulous job, were VERY patient while we made changes and made up our minds and they were all super careful when they delivered and installed them. I can’t recommend them highly enough. (No brown paper bags just a very satisfied customer). I hope to be back to sewing and blogging regularly again soon. Thanks for staying with me. quite a lovely transformation… Enjoy ! Thanks Cherie. I’m very happy with it. You’re right Sylvia. I am very happy with it and to have everything back tidy again. Wow! 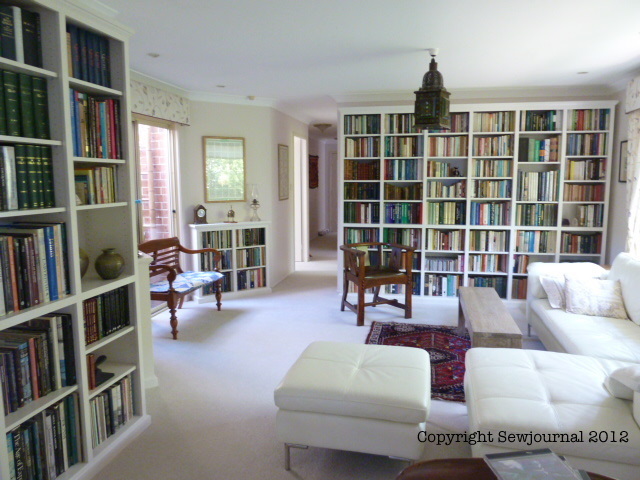 is this a living room or a library room ? I would love to have a library. I took our large separate living room for my sewing / computer room so we only have a tiny sitting room now . 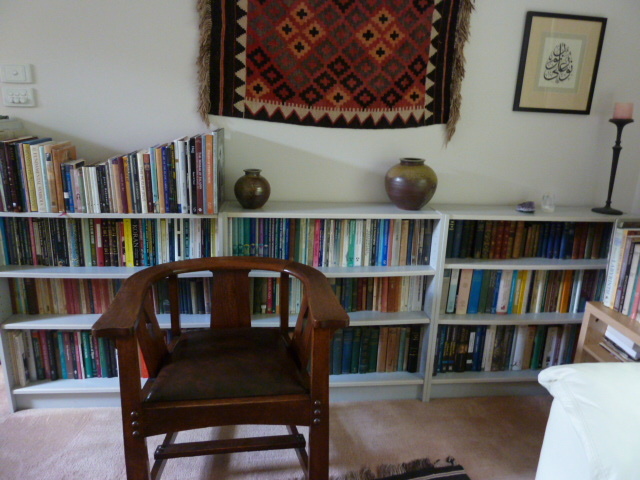 How wonderful to see a house full of books! It looks like a very serene space. I just want to sit on your couch and read your books. It looks lovely! It looks soothing and peaceful, your own retreat! Thanks Annette. Yes, we’ve missed having a nice living room for a week or so, so it’s good to have everything back in place.